Corporate Information | Cal Fasteners, Inc.
Cal-Fasteners, Inc., a family owned business, was formed in 1976 with the recognition there was a need for a fastener supplier that would service the OEM industry with quality fasteners and on-time delivery. From the beginning we have always prided ourselves in trying to do the extra things that our customers have come to appreciate and take for granted. We want to go above and beyond your expectations. Many of our first customers were manufacturers of electrical switchgears, transformers, panel boards, etc. To help our customers, in addition to nuts and bolts, we began selling electrical connectors, terminals, insulators, meter sockets, cable ties and similar products, which related to their industry. As we have grown and continued to diversify through the years, we have widened our customer base and currently sell a wide array of items to not only the electrical industry, but to several other industries such as medical, automotive, construction, spa supply, traffic control industries, injection molders, sheet metal fabrication, vending machines, recreational industries and several other industries. In 1998 CFI added a new line to help their construction base by purchasing "Flame Supply", a manufacturer specializing in anchor bolts, foundation bolts, studs and dowels. We moved to our current 26,000 sq. ft. location in June of 2001. 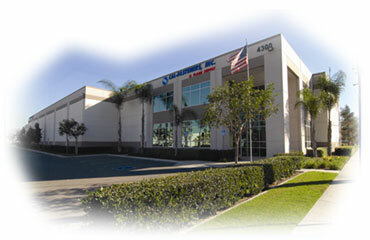 From our location in Anaheim, CA we can either deliver to local customers or ship products all over the world. We are currently shipping to such places as Canada, Mexico, China, India, Singapore, Malaysia, Japan, Taiwan and several other countries. The World Wide Web has enabled us to continue to expand not only our customer base but our product base as well. At Cal-Fasteners, Inc. we are committed to supplying the industry with quality products at competitive prices. We desire to surpass our customer's expectations, giving them the most for their dollar while providing them with the best possible service.